Trembling and sniffling, Christy Lodwick stood before the court and apologized. “I did not in any way, shape, or form mean to hurt anyone,” she said. The judge questioned her sincerity. 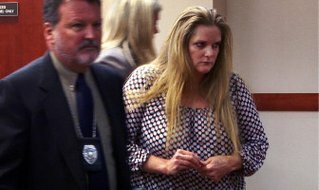 Lodwick – who has also been known as Christy Kemper, Christy Messer, Christy Hosey and Christy Workman over the years – has a long history of forgery, fraud and failing to pay workers, according to court records, as she serially entrepreneurs health and aesthetics related enterprises, that serially go kaput. She will report Feb. 13 for a 90-day jail sentence for her involvement with a business known as Aspenfalls Spa in 2011. What wasn’t included in the criminal case were the $67,273 in wages eight former workers say they are owed. Her case demonstrates how impotent state labor authorities have been when faced with employers who cheat workers and business partners as a matter of course. Under the Colorado Wage Act, illegally withholding wages is a misdemeanor with a maximum penalty of 30 days in jail and a $300 fine, penalties that are more lenient than the punishment for careless driving and have remained the same since 1941. In 2010 four workers complained to the Colorado Department of Labor and Employment, saying they never received wages from Lodwick worth more than $29,000. In 2011, the department forwarded the complaints to the District Attorney for Arapahoe county, where one of the businesses was based. The statute of limitations on wage theft passed before Lodwick’s case was filed, which excluded employee claims from the current criminal case. Those employees still have not received their wages. It’s unlikely they ever will. Lodwick declined to comment for this story. Dietician Courtney Hardin was in between jobs when Lodwick offered her a position at Integrative Weight Loss and Wellness, a weight loss business that employed medical professionals. “I cannot tell you how excited I am about this wonderful opportunity you have given me,” Hardin wrote in her job acceptance email to Lodwick in April 2010. In May, Hardin said she worked advising clients on diet, helping Lodwick with promotions and picking up supplies (while paying out of her own pocket). By June, the dietician and her boss jousted through email regarding Hardin’s unpaid wages. Eventually, Lodwick stopped responding to Hardin’s emails, Hardin said. Court documents show Hardin was owed $2,564 and Lodwick’s checks bounced. Hardin spent an additional $329 in court filing fees to sue Lodwick. Hardin has received nothing, despite a default judgment in her favor. Since 2010, former employees including Hardin, two doctors, and Lodwick’s former lawyer have filed five civil lawsuits against her for unpaid wages. Lodwick still owes $167,037 in civil court judgements in those wage-related cases. Lodwick has repeatedly dodged paying what she owed to her vendors, landlords and workers, according to court records and interviews. She previously was involved in at least 14 companies, most recently under the names Quest Urgent Care in Ohio and Integrative Weight Loss and Wellness, Xanadu Total Wellness and Aspenfalls Spa in Colorado. I-News found Lodwick has filed for bankruptcy five times between 1999 and 2014. A court investigation shows 61 civil cases against her from 1994 to 2011 and more than 35 judgments against her in Ohio. The claims include “non-payment of debts, fraud, failure to pay wages to her employees and allegations that she caused financial harm to entities she engaged with in business,” according to the recent criminal investigation. Joe Mahoney Last November Lodwick pled guilty in Douglas County court to three felonies of defrauding a secured creditor, theft and fraud by check and received a sentence that included 90 days in jail, 15 years probation, financial restitution to her former business partners, and cognitive behavioral therapy. In 2010, Jonathan Sucha was the weight loss company’s marketing director. He had no idea how much financial trouble Lodwick was in, Sucha said. “She was a nice gal; the problem was getting paid,” he said. July 2010, he contacted the Colorado Department of Labor and Employment for $7,200 in unpaid wages between March and May. A few months later, dietician Vicki Beaugh also alerted authorities to her $5,370 in unpaid wages for work that summer. “I was hoping she would be made to pay back the wages she owed me and everyone else,” Beaugh said. More than three months passed and in January 2011 the Colorado Department of Labor and Employment sent a letter with details on Sucha’s, Beaugh’s and two other former employees’ cases to prosecutors, according to open records obtained through the 18th Judicial District. The state labor department does not have the legal authority to bring criminal charges for wage theft, it can only refer the case to prosecutors, who have 18 months from the date of the alleged offense to investigate and file charges, according to the statute of limitations for misdemeanors. The state department of labor has referred at least 15 to 20 cases of unpaid wages to metro-area prosecutors since 2006, according to agency spokeswoman Cher Haavind. Prosecutors have pursued almost none of them. During an interview, Haavind held up a heavy folder of documents the agency sent as part of a referral to one district attorney, demonstrating its futility. The department abandoned the referral program over concerns that it wasn’t a worthwhile investment of staff time, Haavind said. In the 18th Judicial District, felony charges against Lodwick weren’t filed until November 2013, over three years after the wages were due. By that time, the statute of limitations on unpaid wages had run out. “These are generally complex cases that take a while,” assistant district attorney Mark Hurlbert said. 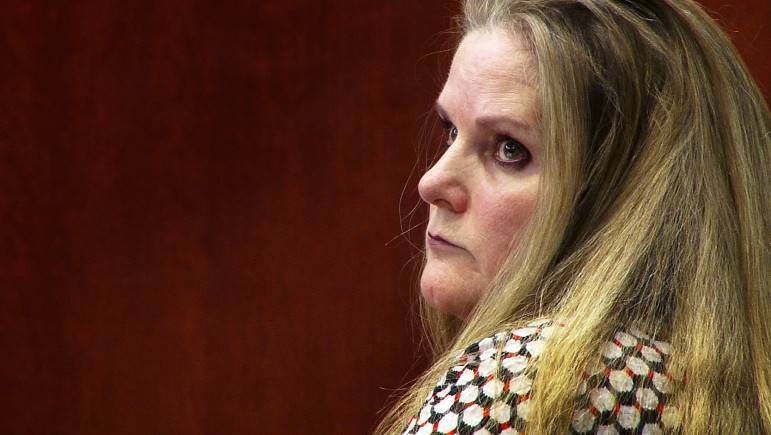 Instead of pursuing wage claims from employees at the weight loss business, prosecutors sought higher charges for theft and fraud Lodwick had committed during her purchase and management of a subsequent business, Aspenfalls Spa, in 2011. Lodwick also faces up to a half-million dollars in restitution to her victims in the criminal case. The exact total is still being decided. That doesn’t include her former employees from Integrative Weight Loss and Wellness who are owed wages but are not covered by the criminal case. Claimant Beaugh has moved on with life but is still disappointed she won’t get her wages, she said. NOTE: If you live in Arapahoe, Elbert, Douglas or Lincoln counties and believe you have not been paid wages that you are due, you can report your situation to the District Attorney’s Economic Crimes Unit investigator Marc White at mwhite@da18.state.co.us. You can also file a complaint with the Colorado Department of Labor and Employment by calling (303) 318-8441 or toll free (888) 390-7936.